How can we bring people together? 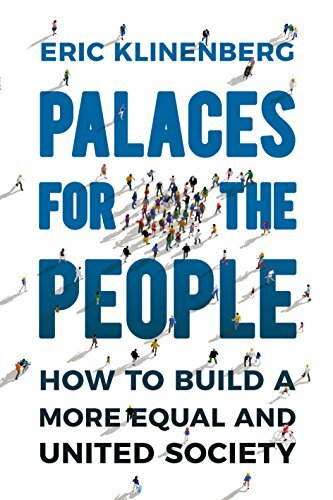 In Palaces for the People the sociologist and best-selling author Eric Klinenberg introduces a transformative and powerfully uplifting new idea for health, happiness, safety and healing our divided, unequal society. Too often we take for granted and neglect our libraries, parks, markets, schools, playgrounds, gardens and communal spaces, but decades of research now shows that these places can have an extraordinary effect on our personal and collective wellbeing. Why? Because wherever people cross paths and linger, wherever we gather informally, strike up a conversation and get to know one another, relationships blossom and communities emerge – and where communities are strong, people are safer and healthier, crime drops and commerce thrives, and peace, tolerance and stability take root. Through uplifting human stories and an illuminating tour through the science of social connection, Palaces for the People shows that properly designing and maintaining this ‘social infrastructure’ might be our single best strategy for a more equal and united society.